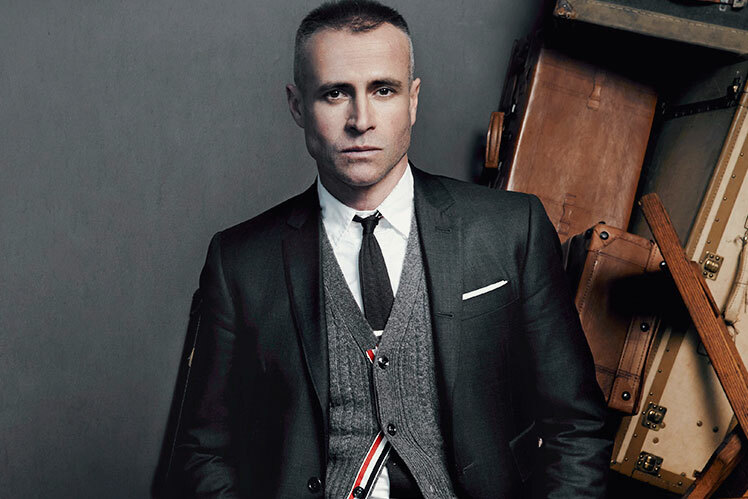 Thom Browne’s label is known for its classic cut-and-sew pieces, offering men an unparalleled selection of quality suits and bespoke pieces. In 2015, the American designer continued with his dramatic collections and fashion shows, highlighting the intricacies of his sharp designs. He also delved head first into accessories, with some very quirky but popular items such as animal-shaped wallets and bags. Thom Browne also spearheads Moncler Gamme Bleu, where we see a distinctly more sporty aesthetic for the revered Italian brand. His successful work for Moncler saw a men's’ standalone store open in Paris. However, this year Browne parted ways with Brooks Brothers, for whom he designed and led its Black Fleece by Brooks Brothers line. Despite that, Browne’s role in modern menswear is definitely very influential and will continue to be throughout the new year.